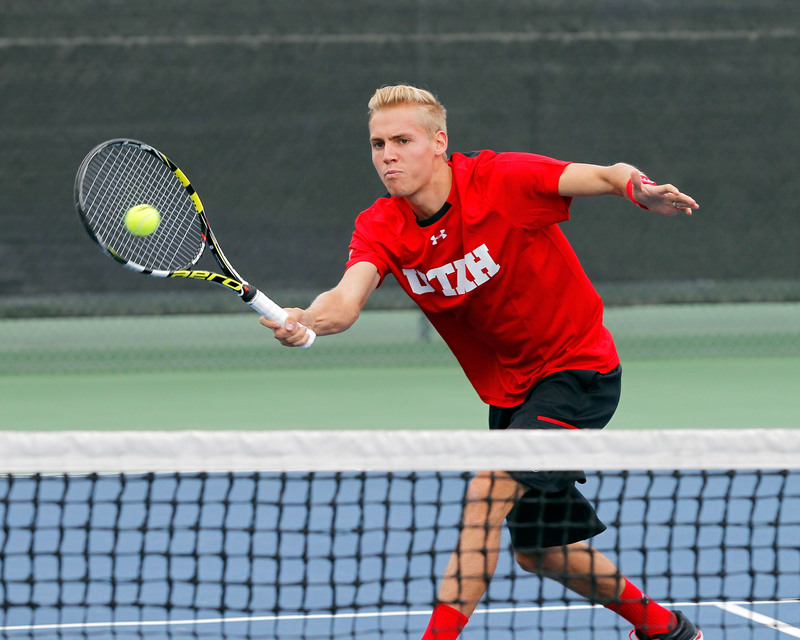 Tulsa, OK. – The Utah men’s tennis team’s run at the All-American Championships came to an end in singles on Sunday at The University of Tulsa at the Michael D. Case Tennis Center in Tulsa, Okla. The Utes were represented in the pre-qualifying singles draw by senior Cedric Willems, junior Matt Cowley and sophomore Parker McGuiness. No. 51 ranked Slim Hamza was forced to withdraw from the main draw due to an injury. After receiving a walkover in the first round, Cedric Willems narrowly fell to 26th seeded Konrad Zieba of Northwestern University, 5-7, 6-3, 7-6(6). In consolation play on Sunday, Willems beat Chris Essick (Indiana) in straight sets; 7-6(6), 6-2. Parker Mcguiness won his first round match against Max Phipps of Southern Illinois University. Mcguiness jumped out to a 6-1 lead after which Phipps retired. In the second round, Mcguiness was edged by Mikael Torpegaard of Ohio State University, 7-5, 6-1. Matt Cowley fought hard in the first round to achieve a 3-6, 6-4, 7-5 come from behind win over Matt Barry of Penn State University. Cowley’s run came to an end with tight 6-4, 3-6, 6-1 loss to Frankie Colunga of Texas A&M University. The Utes will continue play at the All-American Championships when Matt Cowley and Cedric Willems team up for doubles play on Tuesday in the qualifying draw. This entry was posted in Schedule/Results and tagged Cedric Willems, ITA All-American Championships, Matt Cowley, Parker McGuiness, Roeland Brateanu, Slim Hamza, Utah Tennis, Utah Utes. Bookmark the permalink.